Just follow Jewish doctors and the money trail and you’ll find a treasure of freskins in a bag. Sad, but true. AAP panel had an agenda, to find an excuse to keep RIC funded. 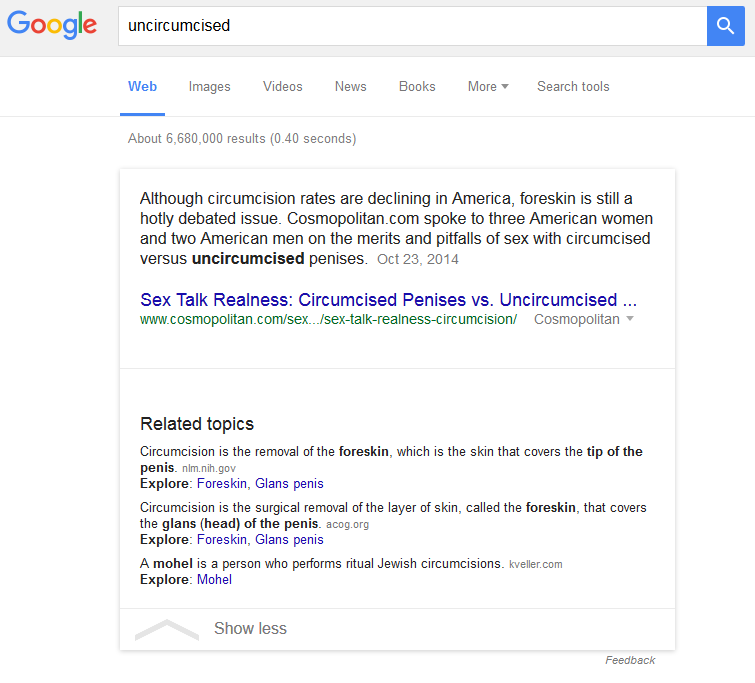 Its members all unpaid volunteers, yet why would Jewish and circumcised men volunteer? Well, we only need explore human psychological motivations either conscious or unconscious. What if the panel had Canadian no Jewish doctors or better women. But, no all circumcised pro circumcision men ready to exaggerate and cherry pick any pro-circumcision study. Yet we should all know medical studies are all soft science and cannot control all the relevant variables. Why did the African circumcision studies terminate early? Because the numbers were running in the favor of more studies and yes, using circumcisions to prevent HIV/AIDS. Pathetic isn’t it and the truth constantly escapes the American Pro Circumcision media, such as Time magazine which has supported circumcision forever.